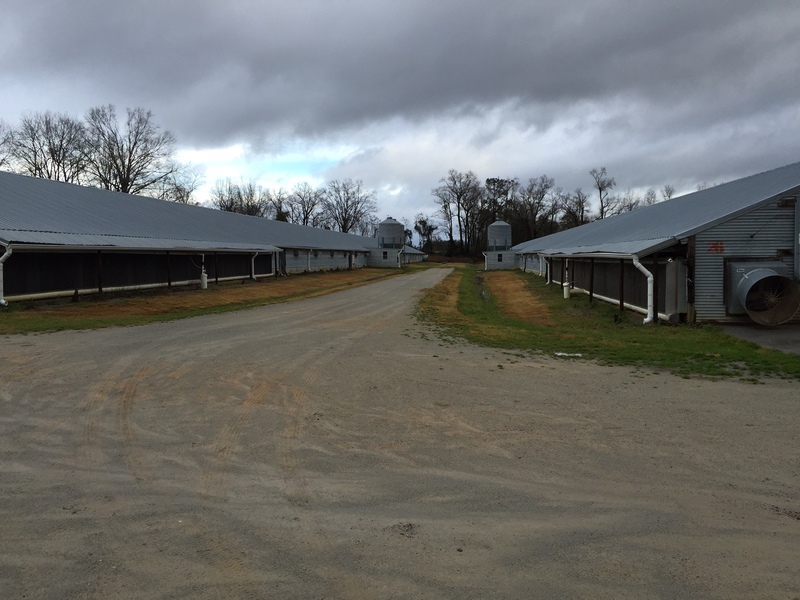 South Carolina poultry producer, James Page needed to expand his broiler operation by two barns. He needed an experienced agricultural engineering firm to help him through the permitting process. Agri-Waste Technology guided Mr. Page through the permitting process from determining the location of the new barns to writing the agricultural facilities management plan and developing the stormwater pollution prevention plan. It is always a stressful task when farmers have to get permits and plans done for new projects. Working with AWT greatly reduced the stress for me. They were easy to work with and kept me informed throughout the entire process. I am pleased with my choice of selecting AWT to develop my plans and they would be my first choice if I ever need another one. 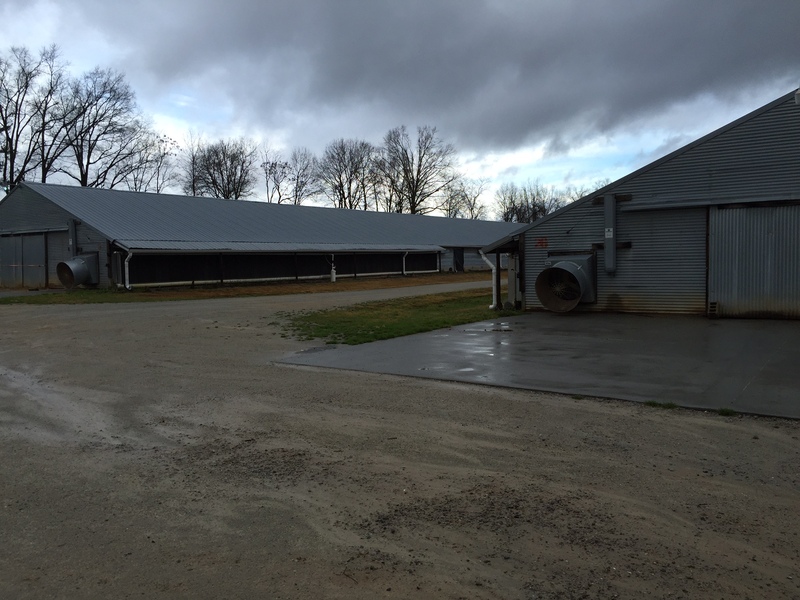 We were contacted by a SC poultry producer planning to add two production barns to their farm. 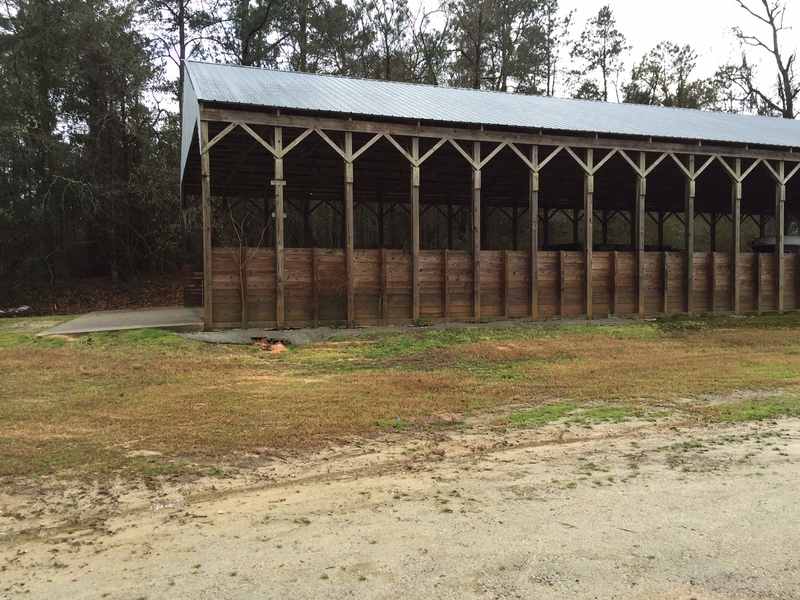 Expansions require an agricultural permit and a stormwater permit from the SC Department of Health and Environmental Control. Our first step was to collect the information we needed to apply for an agricultural permit. In order to minimize the risk for producers, we recommend pursuing and obtaining the agricultural permit prior to initiating the stormwater permitting process. In order to obtain an expansion permit, the producer must submit an expansion permit application along with an agricultural facilities management plan. AWT received maps, soil sample reports and litter reports from the producer and visited the farm to discuss the plan and review details of the operation with the producer. After collecting all the necessary data from the farm, AWT returned to the office to develop the plan and permit application. The plan and permit application underwent internal review, were signed and sealed and then sent to the producer for review and signature. The producer sent one copy to the NRCS for their review and approval. After the plan was approved by the NRCS, copies of the plan were sent to SC DHEC along with the permit application and application fees. SC DHEC reviewed the plan and provided comments for AWT to address prior to permit issuance. AWT addressed the comments and resubmitted the plan. SC DHEC than issued the agricultural permit and work related to the stormwater permit was initiated. The second step was to collect the information needed to apply for a stormwater permit. A topographic survey of the area was performed and furnished to AWT. Additionally, AWT performed a wetlands determination for the area generally classified as a wetland on widely available GIS data. The boundary of the wetland was marked in the field and surveyed in order to provide accurate information to the designing engineer. The topographic survey, wetlands determination and surface water locations were imported into a computer aided drafting software program where a grading plan was developed. The aim of the grading plan was to balance the cut and fill on the site and provide proper drainage for the stormwater impacting the site. The stormwater plan consists of location maps, drainage maps with planned stormwater and erosion control BMPs, details and grading plans along with a comprehensive stormwater pollution prevention plan (C-SWPPP) for construction activities. The plan was developed and submitted to the producer for review and signature. Revisions were made based on preferences of the producer and copies were submitted to SC DHEC for review. SC DHEC reviewed the plan and provided comments for AWT to address prior to permit issuance. AWT addressed the comments and resubmitted the plan. SC DHEC then issued the stormwater permit and construction activities were eligible to proceed. Prior to beginning construction, a meeting was held between AWT, the producer and the earthwork contractor to make sure everyone understood the regulatory requirements of the construction activity. The third step of the process was the construction phase. The DHEC EQC Regional Office was notified prior to starting the construction activity. A copy of the stamped, approved SWPP (including a copy of the Construction General Permit (CGP), contractor certifications, inspection records, rainfall data, etc. ), NOI, and CGP coverage letter from DHEC was available at the construction site from the date of commencement of construction activities to the date of final stabilization. All contractors who conducted land-disturbing activities at the site completed a Contractor Certification Form. Inspections of the site were performed by an individual who has been certified through a Construction Site Inspector Certification Course that has been approved by DHEC. After construction activities began, inspections were conducted at a minimum of at least once every calendar week and were conducted until final stabilization was reached on all areas of the construction site. Locations where vehicles enter or exit the site must be inspected for evidence of off-site sediment tracking. Inspection reports were completed for each inspection conducted. Rainfall amounts from any significant rainfall event, 0.5 inches or greater were recorded and maintained in a Rain Log located in the on-site SWPPP. Rainfall records for the day of an inspection and any significant rainfall events since the last inspection were reported on each weekly inspection report. A record of each inspection and of any actions taken must be retained as part of the On-site SWPPP for at least three years from the date that permit coverage expires or is terminated. The qualified inspector signed each inspection report. All BMPs and other protective measures identified in the SWPPP were maintained in effective operating condition. If site inspections identify BMPs that are not operating effectively, maintenance must be performed within seven (7) calendar days, before the next inspection, or as reasonably possible, and before the next storm event whenever practicable to maintain the continued effectiveness of Stormwater controls. Sediment collected by Silt Fence, or another sediment control measure, was removed when the deposited sediment reached 1/3 of the height of the above-ground portion of these BMPs, or before it reached a lower height based on the manufacturer’s specifications. The final step is to terminate the NPDES coverage after construction activities are complete. The NPDES coverage was terminated by the permittee when final stabilization of the site was accomplished. A Notice of Termination (NOT) was submitted to DHEC to cancel the NPDES coverage under the Construction General Permit.